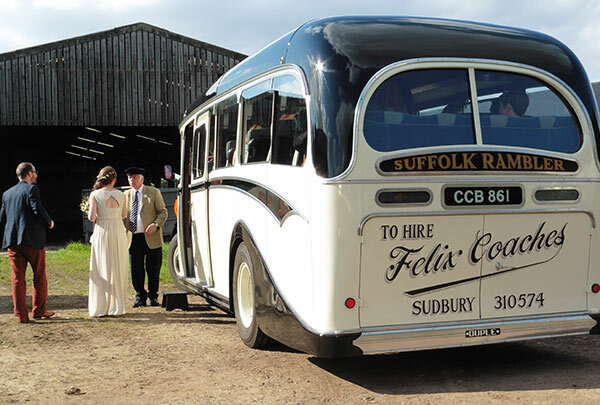 Transport your guests in comfort and style in our beautifully restored vintage coaches. 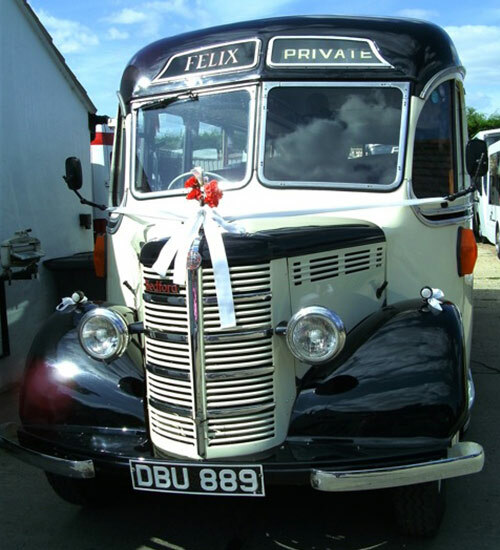 We have two Plaxton Supreme coaches also available for hire. 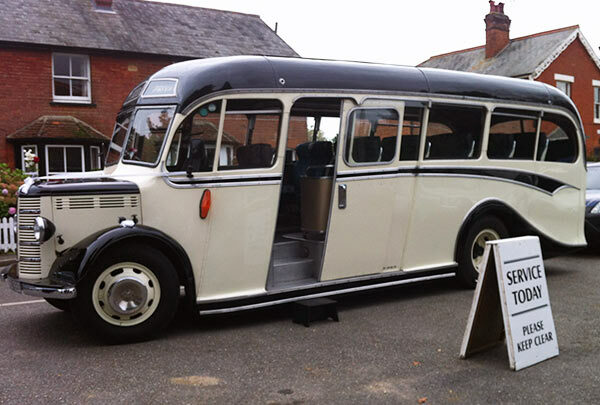 A 1980 coach which seats 17 and a 1983 coach which seats 21. 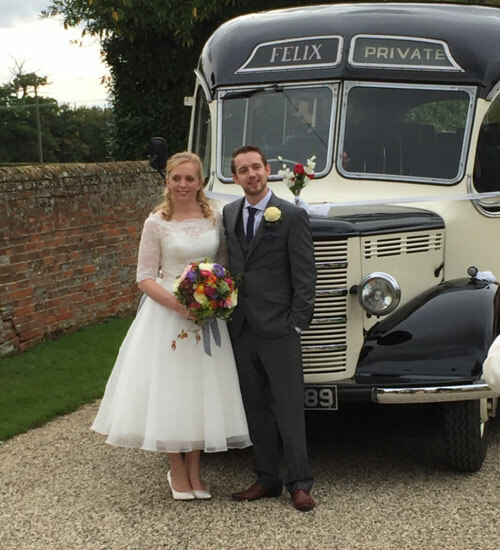 These are the perfect addition to any retro wedding! 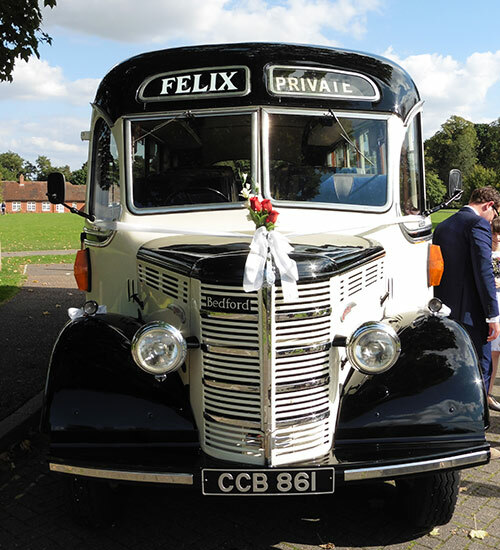 We cannot provide the vintage or retro coaches for any evening return journeys but will be happy to provide you with a modern coach to make sure all your guests get back safely. 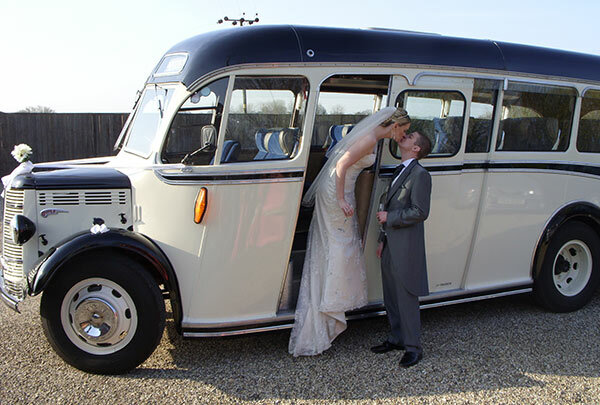 Modern coaches are also available to transport your guests throughout the day if required. 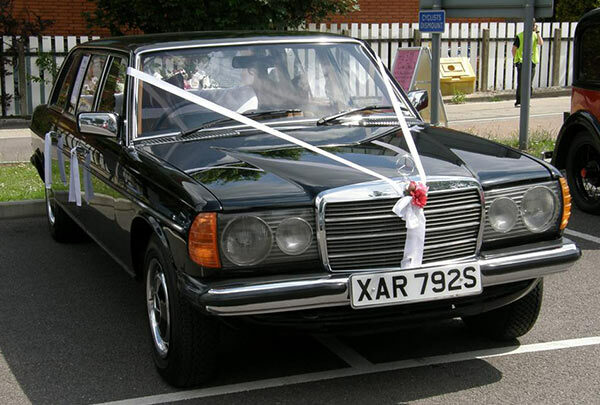 We have three wedding cars available to hire, two silver Mercedes E class saloon cars which prove popular for the bride and bridesmaids if they want to arrive separately and a 1978 seven seater black Mercedes limousine (which we have owned from new) which is lovely for the bride and bridesmaids or groom and groomsmen to arrive together. 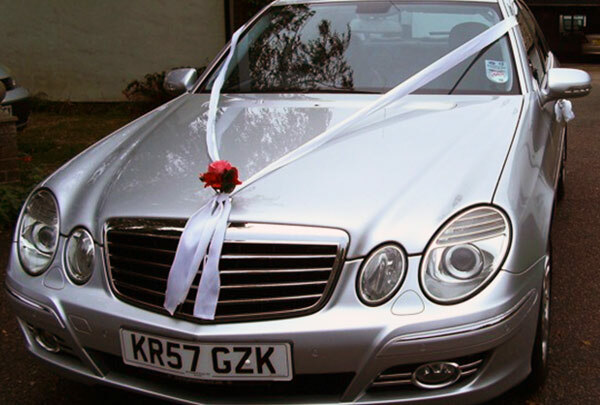 The cars can be supplied with or without white wedding ribbons and flowers. 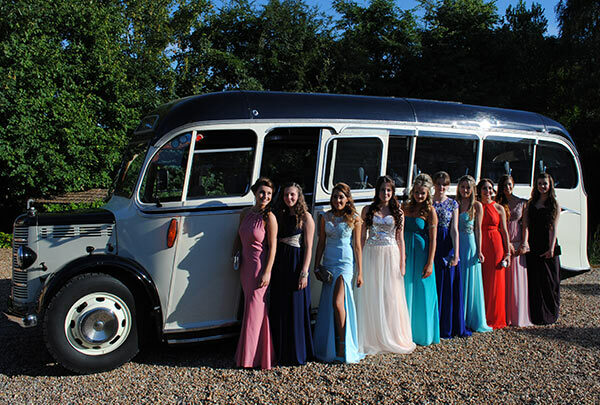 Call 01787 310574 or email us us for more information.